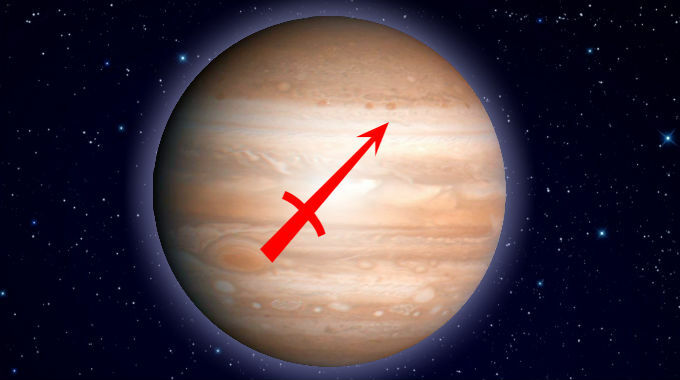 Jupiter in Sagittarius is in a mutable fire sign. In this sign Jupiter is in its own element, so it is one of the signs where Jupiter is most naturally itself. This is someone for whom opportunity and abundance lies in conventionally expected places – through the acquisition of wisdom and knowledge, travels and adventures, bonds of friendship, exploration and discovery through orthodox religion or philosophy, the optimism and desire to better the world through wisdom and beneficence. This is a ‘big picture’ person. There can also be an exaggerated sense of one’s rightness, leading to fanaticism or a god complex. There may also be a tendency to make everything a grand affair and to gloss over details and logistics. This is good for philanthropists, professors, religious leaders, philosophers, authors, travelers, etc. This is especially true if you were born with Sagittarius or Pisces rising. However, this can also describe others in your life who are relevant to the houses where Sagittarius and Pisces are placed. Whether you experience the better or worse significations of this position depends on whether you were born during the day or at night, and the kind of aspects it makes with the other planets.